The Ontario government said Saturday it will "respect" a request from the incoming OPP commissioner to delay his appointment while the province's integrity commissioner reviews the circumstances of his selection. Toronto police Supt. Ron Taverner, a 51-year veteran of the force and long-time family friend of Premier Doug Ford, was named as the next OPP commissioner last month. He was set to be appointed on Monday. 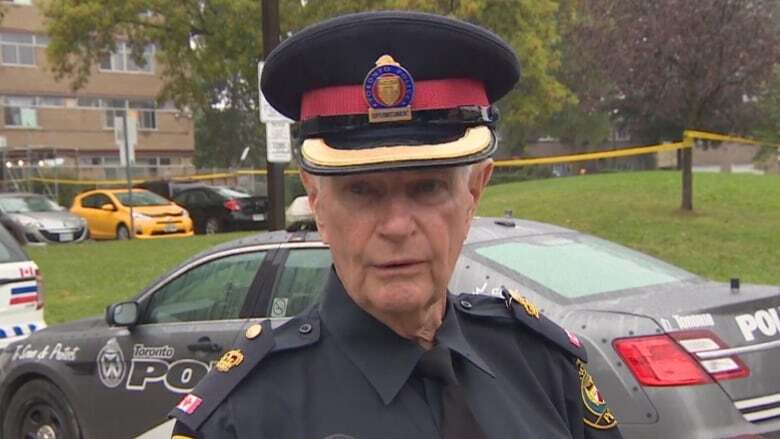 In his request, which was made via email to Sylvia Jones, minister of community safety and correctional services, Taverner said he made the decision "out of the greatest of respect for the brave men and women of the Ontario Provincial Police." Jones said in a statement that the government has accepted his decision. "While the government has full confidence in Mr. Taverner, we will respect his request for a delay in his appointment, until such time as the integrity commissioner has conducted a review of the selection process," Jones said. Earlier this week, interim OPP Commissioner Brad Blair asked the Ontario ombudsman to investigate Taverner's selection in a scathing letter. The 32-year veteran said the process was marred by "questions of political interference." Taverner did not initially qualify for the role, but the Ford government has admitted that it lowered the requirements for the job to attract a wider range of candidates. Of the 27 candidates, Blair — who applied for the job himself — contended only four did not meet the original threshold requirements. The ombudsman, however, denied Blair's request. Blair has since filed a lawsuit, asking an Ontario court to compel Ombudsman Paul Dubé to carry out a probe. Blair's legal counsel, Julian Falconer, said the ombudsman believes the directive to undertake a probe must come from the premier and his cabinet. Blair offered to step aside as interim commissioner while a review was completed. 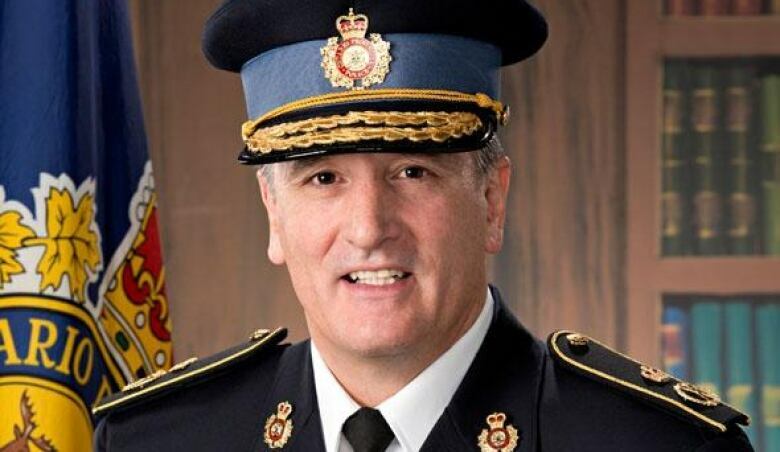 On Saturday, it was revealed that OPP Deputy Commissioner Gary Couture would take on the role while the integrity commissioner looks into Taverner's selection. Couture will take temporary command on Monday, according to Falconer, who laid out some details of the transition in a conference call with reporters on Saturday afternoon. In a statement, Blair said he will be "fully supportive" of Couture, adding that he does "not regret a single step" he has taken in the last week. "I remain devoted to ensuring that the well-earned reputation of the Ontario Provincial Police remains untarnished. It is this credibility, along with the perceived independence of our service, that puts us in the best possible position to uphold the rule of law," Blair continued. His lawyer, Falconer, said that despite the developments, Blair would continue with his court case to have the ombudsman launch his own review. Falconer said the powers of the ombudsman's office "far exceed" those of the integrity commissioner, and they will facilitate a "more robust, more independent" report. "We need the ombudsman to do his job," Falconer said. Taverner did not respond to a request for comment from CBC News. For his part, Ford has denied that he tried to influence the selection process. "We're friends. I'm friends with thousands of people," Ford said last week, noting he was in the cabinet meeting that resulted in the appointment. As the story has developed further, however, Ford has avoided taking questions from reporters at public events. In a statement, NDP Leader Andrea Horwath said the delay suggests that concerns about political interference are "founded. "We can't allow the credibility and integrity of the OPP to be put at risk by Mr. Ford," Horwath, leader of the province's Official Opposition, continued. The NDP has called for a non-partisan emergency select committee to conduct its own investigation into the matter. Similarly, Horwath has asked that the RCMP step in to probe an allegation from Blair that the premier's office asked the OPP to buy a "camper-type" vehicle that would be customized to Ford's specifications. The purchase was to remain "off the books," according to Blair.